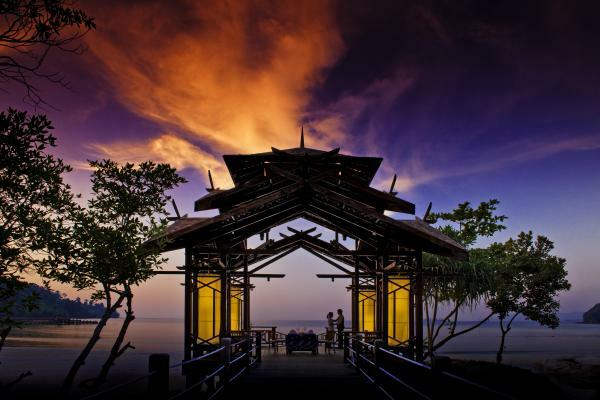 As sensual and exotic as the hibiscus flower that bears its name, Bunga Raya Island Resort is a luxurious jewel set on a coral reef island just off the coast of Borneo. Snorkel, kayak, or spend an afternoon sailing on the emerald waters surrounding Gaya Island. Sunbathe on the beach, next to the infinity pool, or on your private deck. Take a guided hike into the Bornean rainforest or earn your PADI Dive certification - at Bunga Raya each day is a new adventure! Buga Raya Island tours can be arranged to suit any trip length. Please contact us for more details. Transfer by boat from the capital city of Kota Kinabalu to Gaya Island. 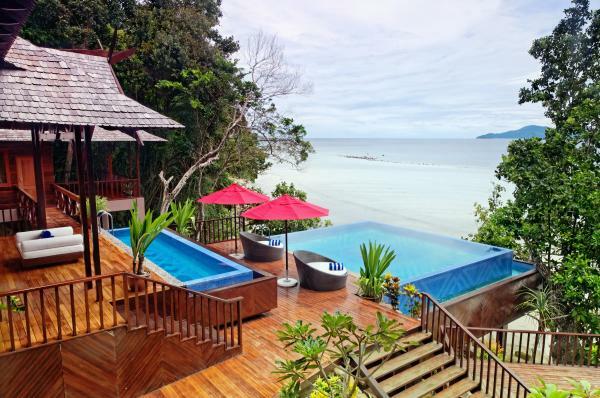 Settle into your private villa at the Bunga Raya Island Resort. 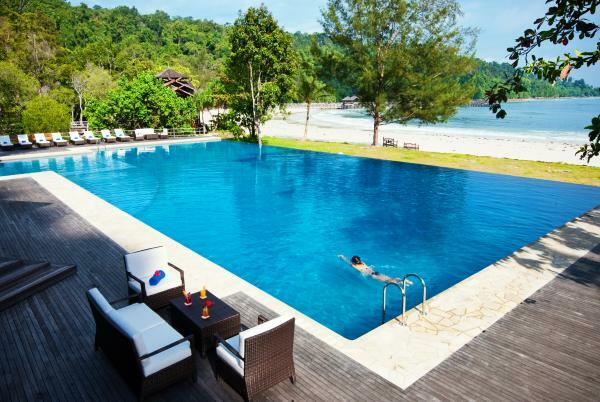 A secluded island hideaway of 48 timbered villas, the resort is tucked away on a tranquil and hidden bay framed by crescent-shaped white sand beach on one side and centuries-old virgin jungle on the other. 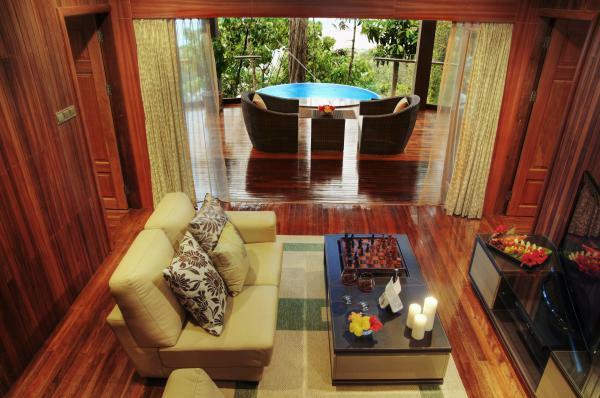 Private balconies offer jaw dropping vistas of the beach below and the South China Sea beyond. Villas range from simple timbered dwellings just steps from the beach to opulent 3-bedroom, multi-level units with wrap-around decks and indulgent private plunge pools. A dedicated hilltop spa, with exotic private spa pavilions, blends the very finest of Traditional Asian and Western treatments that capture restorative powers of indigenous plants and oils. 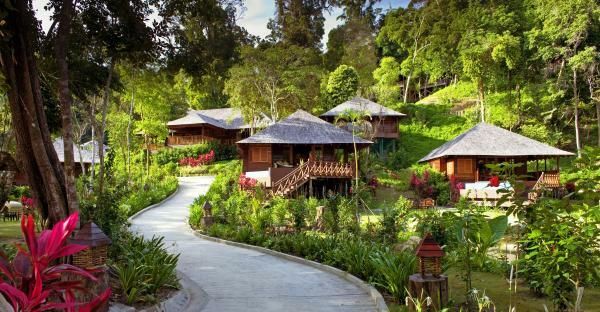 Enjoy a few days or a full week immersed in the sand, sun, and jungles of Borneo. Take a closer look at the island's plant and animal inhabitants with a guided jungle trek, explore the island waters and coral reefs with an adventure through Bunga Raya's water sports activities, and relax at Bunga Raya's trademark Solace Spa. Sleep soundly in your private villa tucked into the rainforest, waking each morning with the sunrise over the South China Sea. For lunch and dinner, choose from one of the resort's three restaurants, or indulge in a fine meal in the comfort of your own villa. Board the speedboat back to the mainland this morning. Continue on to climb Mount Kinabalu, explore deeper into the Bornean jungle, or transfer to the airport for your international flight home. Rates based on Superior Villa. Rates vary by season, please contact us for additional details. The use of snorkel gear, kayaks and paddleboards are included in your stay. Additional equipment is available to rent. Please contact us for rates. Please contact us for more information on optional excursions. 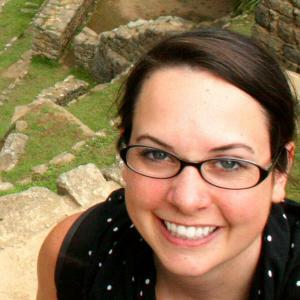 Initial deposit is 400, and most travelers will call our office and pay the deposit with a credit card. Alternatively, you can register online here.